We are in a period of intense and productive discussions about how medical specialties regulate themselves. The certification process in general ― and maintenance of certification (MOC) in particular ― is a significant focus of the discussion, but it also includes the governance of the American Board of Medical Specialties (ABMS), the role and requirements of continued medical education (CME), and many other processes. I am energized and encouraged by these discussions. No, I haven’t put rose-colored lenses in my glasses, and yes, some of the harsh criticism of MOC and medical specialty boards is painful, but I see many pediatricians, pediatric groups, and members of the public coming together to examine our values and priorities. Despite differences of opinion about some details, we are all in total agreement that the improved health and well-being of children is our ultimate goal. The national specialty societies, ABMS, and the state medical societies are collaborating to appoint a Commission on Certification, with representatives from the Accreditation Council for Graduate Medical Education (ACGME), the American Medical Association (AMA), and other important medical organizations represented. We are all committed to listening to each other and strengthening the certification process so that patients and their caregivers will know that we adhere to high standards of knowledge and practice. This report contains many success stories about how MOC projects and processes have encouraged improvements in the care of children. There are also stories about how the ABP has worked diligently to reduce the burden and increase the value of the MOC process. A shining example is the development of MOCA-Peds, a new assessment model designed to promote learning as well as assessment of knowledge. I am excited about MOCA-Peds for many reasons, but perhaps the greatest is the involvement of hundreds of practicing pediatricians in the development of the model. As always with our assessments, the questions are written by pediatricians, but with MOCA-Peds, we also have relied on pediatricians in focus groups, user groups, and the pilot to help build a useful tool for both assessment and learning. And, based on positive experiences from participants in the MOCA-Peds pilot, the ABP Board of Directors has voted to make MOCA-Peds the default option for all ABP assessment (including subspecialties), beginning in 2019. This is exactly the kind of thoughtful collaboration that will allow us to strengthen the entire certification process, and with it, the practice of pediatric medicine. I am looking forward to the discussions to come and the advances I’m certain will grow from them. 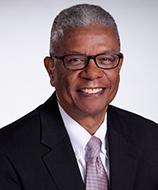 David G. Nichols, MD, MBA is the President & CEO of the American Board of Pediatrics (ABP). As leader of the American Board of Pediatrics (ABP) staff and a member of the non-profit organization's Board of Directors, Dr. Nichols actively promotes high quality health care for children by upholding the standards of certification in pediatrics, and by encouraging and facilitating initiatives in quality improvement. Although he assumed his new leadership role in late 2012, he has been associated with the ABP for more than 20 years. He is board certified in general pediatrics and is board certified and maintaining certification in pediatric critical care medicine.